“Can you watch a rented movie without an internet connection? – It is my hope to rent a movie today and watch it while on a flight tomorrow. Can I watch a rented movie without an internet connection? I.e: is it streamed or downloaded? Do I have to buy the movie in order to watch it without an internet connection?” a question from Apple Communities. Over thousands of Apple users have the same questions as asked above on Apple Communities. People want to know more things about iTunes movie rentals and would like to know more tricks or unpublished elements in Apple movie rental. 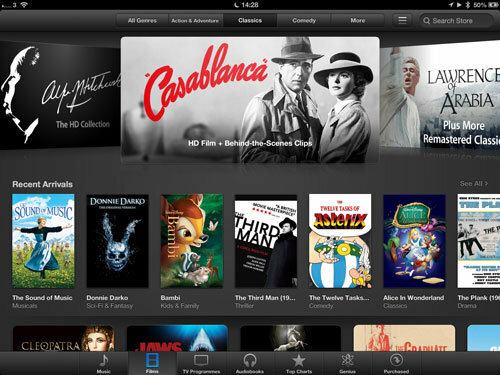 Well, in this guide, we would like to show you 10 things you need to know about iTunes movie rentals. You will know things like “how long do iTunes movie rentals last”, “how to watch iTunes movie rentals offline”, “how much space do iTunes movie rentals take up”, etc. 1. How long do iTunes movie rental last? 2. How much does iTunes movie rental cost? The exact prices are determined based on Apple’s agreements with movie studios and its own choices about pricing. According to Apple iTunes movie rental policies, there are in total 2 time limits for iTunes movie rentals. The first time limit is 24 hours to finish watching the movie from the moment you hitting the play button of the iTunes movie rentals (24 hours time limit is applicable to U.S. only. In places other than U.S.A, this time limit is 48 hours). The iTunes movie rental will expire after 48 hours even if you haven’t finished watching it. You have to rent it again for continuous watching. During this time period, you could watch rented iTunes movie as many times as you like. The second time limit is upon how long the iTunes movie rental will last since you have downloaded it but haven’t hit the play button. You have 30 days left to keep the downloads. That means if you only download the rented iTunes movie to your computer, it will expire after 30 days even if you haven’t watched it for a second. However, once you start to play back the rented iTunes movie, you only have 24 hours to finish watching this iTunes movie rental. No matter which occasion you are in, you have to rent iTunes movie again after it expires. 4. What devices could I play iTunes movie rentals on? It should be noted that iTunes Rentals can only be played on Apple devices. You can rent movies from iTunes and watch them with your Mac or Windows computer, iPhone,iPad, video-enabled iPod, or on your TV using your Apple TV. Supported Apple models are: iPhone, iPod touch, or iPad running iOS 3.1.3 or higher, Apple TV, Mac or PC, iPod Classic, iPod nano (3rd-5th generations). Playing rented movies on Apple TV (1st generation) requires an update to Apple TV software. If you want to watch iTunes movies on other devices, you could check how to watch iTunes movies on Android. 5.	iTunes 10 or later is required to rent movies on your computer. iTunes 10 or later is required to rent movies on your computer. iOS 3.1.3 or later is required to rent movies on your iPhone, iPad, or iPod touch. You can not play movie on iOS devices or computer with older system. 6. Can you watch iTunes movie rentals offline? Movies rented at iTunes download progressively. It will automatically download while you are watching the movie. Once you have finished watching iTunes movie rentals for the first time, you don’t need to download iTunes movie rentals again when you want to watch this iTunes movie rental again. 7. Can I sync iTunes movie rentals from computer to iOS devices or Apple TV? Yes. If you rent a movie on your computer, you can sync it to your iOS device to watch on the go in the same way you would sync any other content to your device. 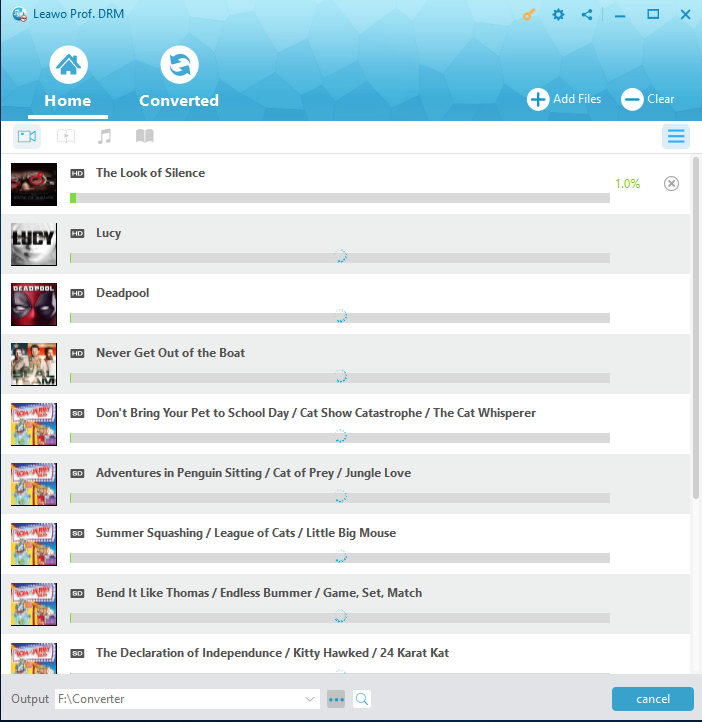 In fact, you can sync a movie back and forth between your computer and your device as many times as you like during the rental period. It’s worth noting, though, that if you sync a rented movie to your iOS device, it disappears from the computer. then you could only watch the rented iTunes movie on your iOS device. And, still, there is one thing you need to know about iTunes movie rental. If you purchase a iTunes movie rental on your iOS devices, you could only watch the rented iTunes movie on iOS devices or computer via sync. You couldn’t sync the rented iTunes movie purchased on iOS devices to Apple TV. 8. How many devices can I watch an iTunes movie rental at a time? iTunes movie rentals could be played on different devices like iOS devices, Apple TV, Mac or Windows computer. however, you need to keep this in mind that at a time, you could only watch iTunes movie rental on one device or one computer. 9. How much space does an iTunes movie rental take up? This depends on the source movie file size and the parameters you have chosen for downloading iTunes movie studio. These facts include: high/standard definition, movie length, movie aspect ratio, movie quality, codec, etc. 10. You can legally remove DRM from rented m4v movie. There are some DRM removal in the market now. The most popular one is Leawo Prof. DRM. It is a professional iTunes DRM removal and converter tool that could help you remove DRM protection upon iTunes DRM M4V movie rentals and then convert DRM iTunes M4V movies to DRM-free MP4 videos. Detailed steps would be shown below. There are also other things you need to know about iTunes movie rentals. For example, not all countries and places support iTunes movie rental. You could get a detailed iTunes movie rental map around the world on location(s) . A few countries or places have banned iTunes movie rental feature. With a deeper understanding upon iTunes movie rentals, how to rent a movie on iTunes Store? Follow the below steps to learn how to rent an iTunes movie. 1. On your iPhone, iPad, or iPod touch, tap Not Now, then tap play button to stream your rental. You can download the movie to your device by clicking or tapping the download icon. 2. On your Apple TV, choose Rent and Watch Now to stream. If you choose Rent and Watch Later, you have 30 days to start watching your movie. You don’t download rentals to your Apple TV. 3. On your Mac or PC, click Watch Now to start streaming. If you choose Watch Later, you can find the title in the Rented tab. To stream the title, hover your cursor over the title and click , or click to download. After renting an iTunes movie on your devices or computer, you could then freely watch iTunes movie rentals offline. Sometimes we may want to download iTunes movie rentals for watching on other devices like Android tablets. However, as mentioned above, all iTunes movie rentals could only be played on Apple’s own devices like iPhone, iPad, iPod, Apple TV, Mac or Windows computer, etc. The DRM protection has prevented your from watching iTunes movie rentals on other devices or players. But 3rd-party iTunes DRM M4V video converter tool would help you solve this problem. Leawo Prof. DRM is one of the best iTunes DRM removal and converter that could help you remove DRM protection from iTunes movie rentals and then convert DRM iTunes movie rentals to DRM-free MP4 videos. 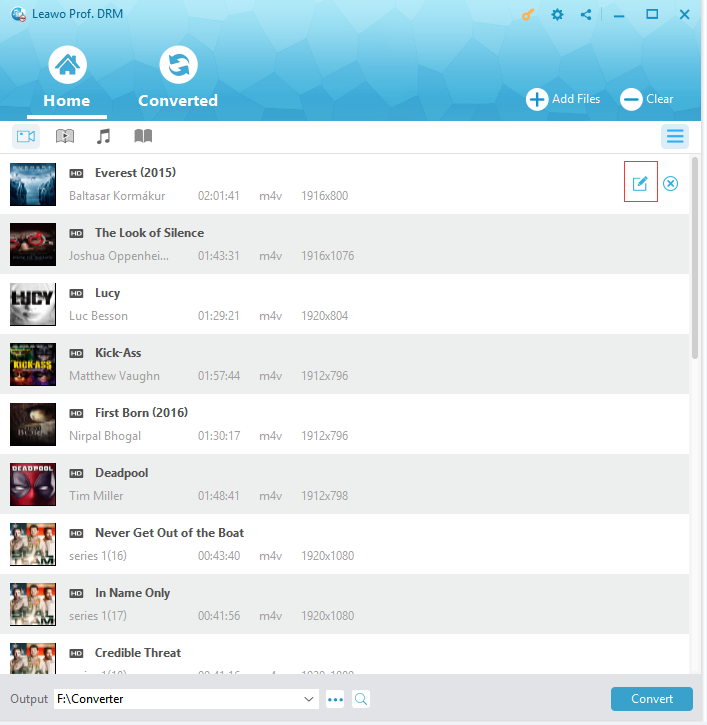 Download and install Leawo Prof. DRM on your computer. Then, follow the below steps to learn how to convert iTunes movie rentals with Prof. DRM. You only need to make sure that you have already downloaded iTunes movie rentals to your local drive. Note: You need to authorize the computer by signing in with your Apple ID that you used to purchase or rent the video file (movie and TV show). Launch Leawo Prof. DRM and then on the main interface click the “Add Files” button. Then, on the left sidebar, consecutively open “Library > Video” option to choose the iTunes movie rental files for converting. Click the pencil icon on each loaded iTunes video and then choose desired subtitles and audio tracks. Now, at the bottom of this iTunes movie converter, open the “Output” box to set an output directory to save the final converted iTunes movie rentals. Finally, hit the bottom right blue “Convert” button to start converting DRM iTunes movie rentals to DRM-free MP4 movie files. 1. If it’s the first time for you to convert DRM iTunes M4V movies, you will be asked to authorize this computer with your own Apple ID and password. 2. The DRM removal works in the background. You don’t need to do anything else. 3. By default, Leawo Prof. DRM will remove DRM protection from iTunes movie rentals and convert iTunes M4V movies to DRM-free MP4 videos. You could then view the entire converting process and view converted iTunes movie rentals under the “Converted” tab. After converting, you could then freely watch the converted iTunes movie rentals on any device anytime anywhere. All the limitations upon iTunes movie rentals would be gone. Leawo Prof. DRM has made it quite easy to remove the DRM protection from iTunes movies and convert them to DRM-free MP4 files. Actually, Leawo Prof. DRM is a comprehensive DRM removal and converter suite. 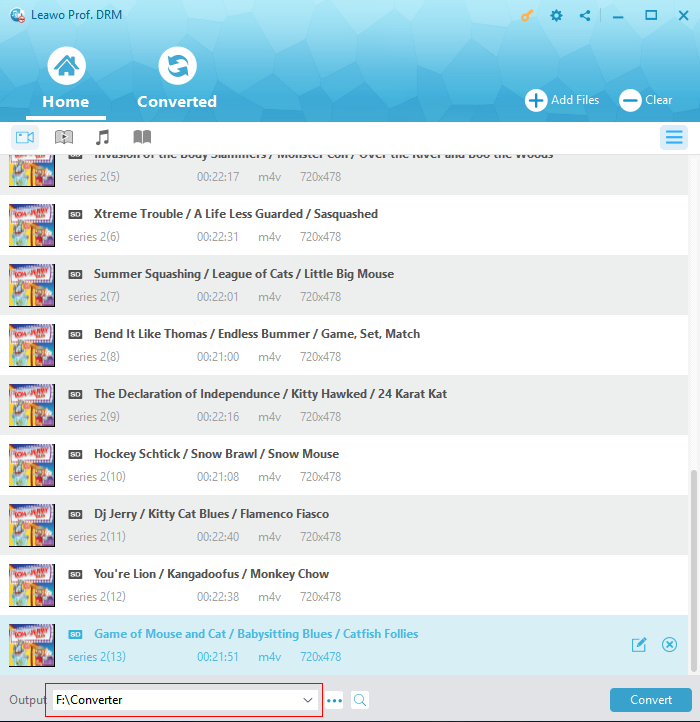 It could also convert iTunes DRM music, convert iTunes and Audible audiobooks, convert Kindle eBooks, convert Kobo eBooks, convert Adobe Digital Edition eBooks, and download and convert Spotify songs.